The Oakley Clubface Eyeglasses were inspired by the smooth contours of golf club design - perfect if you are looking for lightweight, durable eye wear technology. 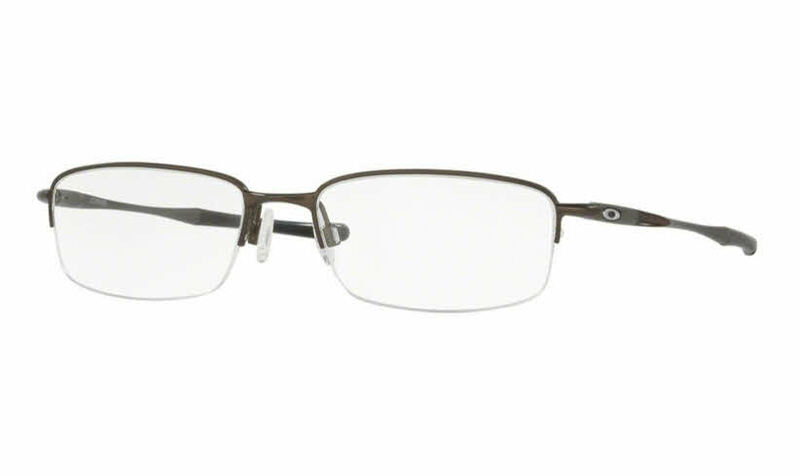 Semi-Rimless frame made from Oakley's patented ultra lightweight C5 Alloy; a unique combination of 5 metals. These compounds are super heated to create a durable frame. Sculpted temple arms featuring Signature Oakley "O"
Temples also feature Unobtainium® components - a material invented in the Oakley lab that increases grip with moisture, prevent sliding when exposed to perspiration. Comes in Oakley protective cleaning carrying case with cleaning cloth. I have been using these glasses for about a week and have nothing bad to say about them. I constantly get complemented on how sporty and stylish they are. Overall I had a great experience with Frames Direct and will use them again one day.